Sometimes, all you need to do to find impressive stuff is type d-e-s-i-g-n s-h-o-p in google, and google’s god might throw you something like that website, who came first in my research. 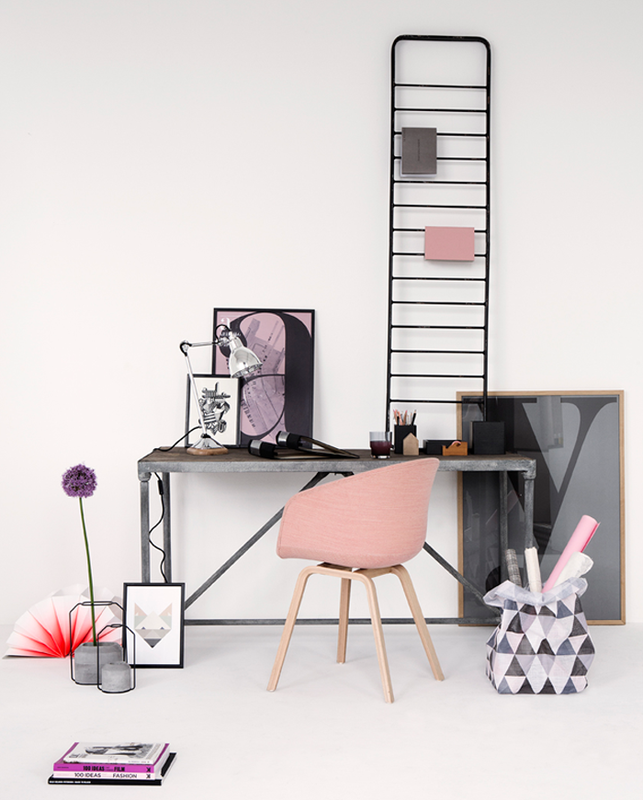 Finnish Design Shop is an innovative online shop where you can find everything you need for your modern dream house. Unfortunately, they don’t ship to canada. But now that I mourned over it, shopping that website contributes in inspiring my inner designer, and I am fine with it. And for those of you living in the states, no worries! 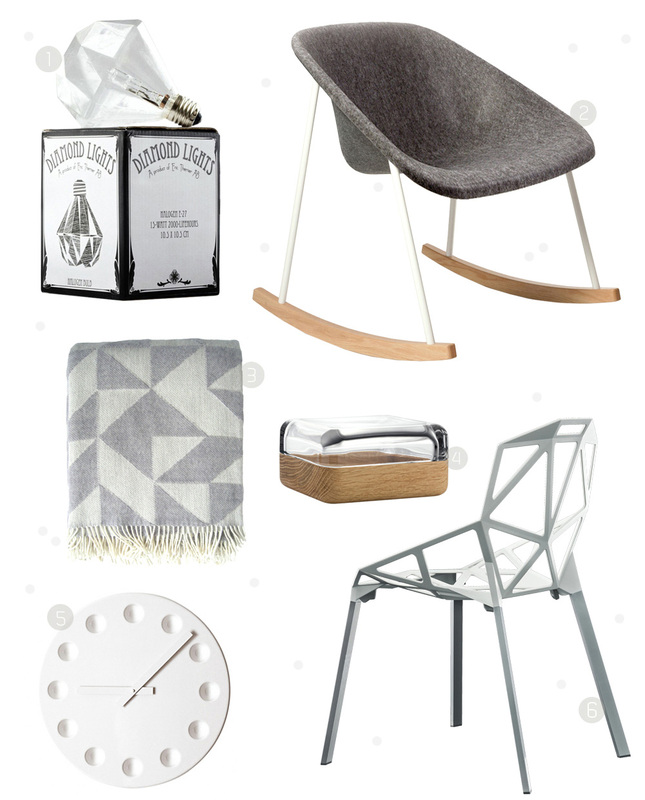 Here are 6 items I would definitely put high on my wish list. 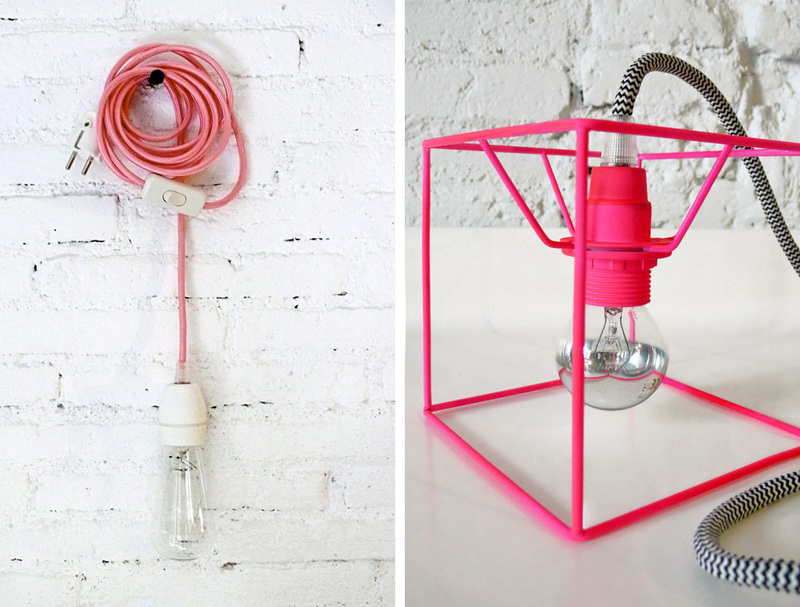 I am totally obsessed with that diamond-shaped light bulb ! I am constantly looking for new ideas and items to update my appartment decor. Lightings have always been at the top of my decor favorites. 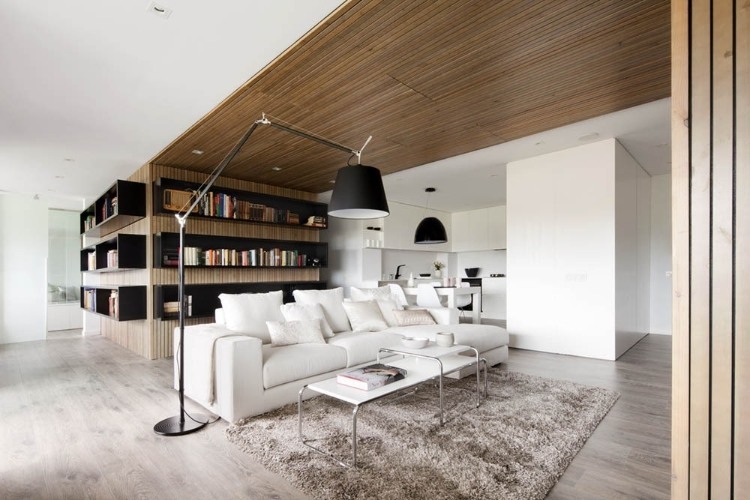 Light is so important in my life, and I think a great lamp can make such a statement in a room. Looking through Etsy, I found some very interesting options, like these hanging bulbs. 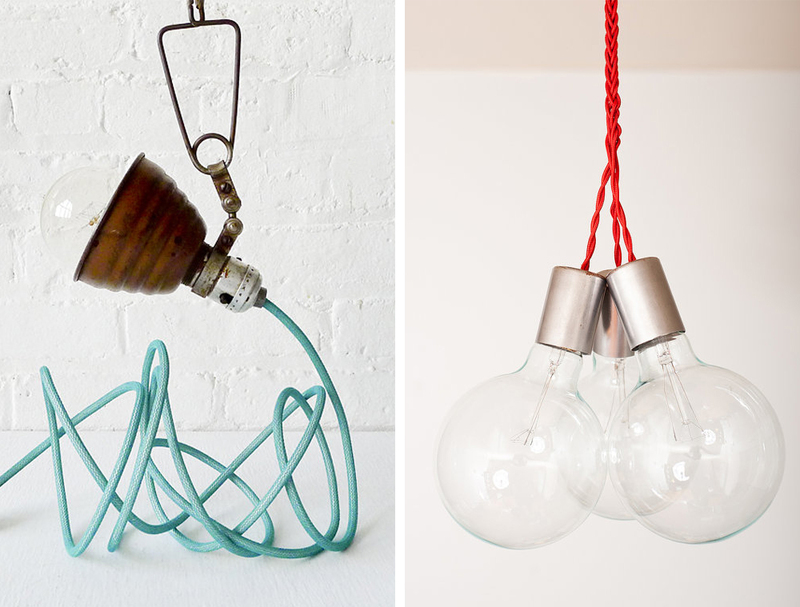 My brain is now spinning on new DIY ideas for lightings ! The other day I was wandering around the Winners (TjMaxx or Mashalls for the US readers) in hope of finding cheap treasures. 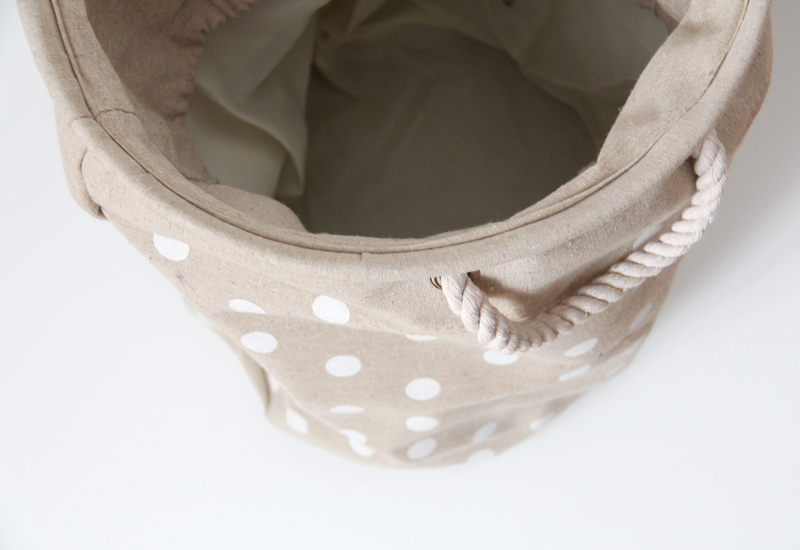 I didn’t find anything I was looking for but I ended up very satisfied when I brought home this very cute linen clothes basket for only 12$. 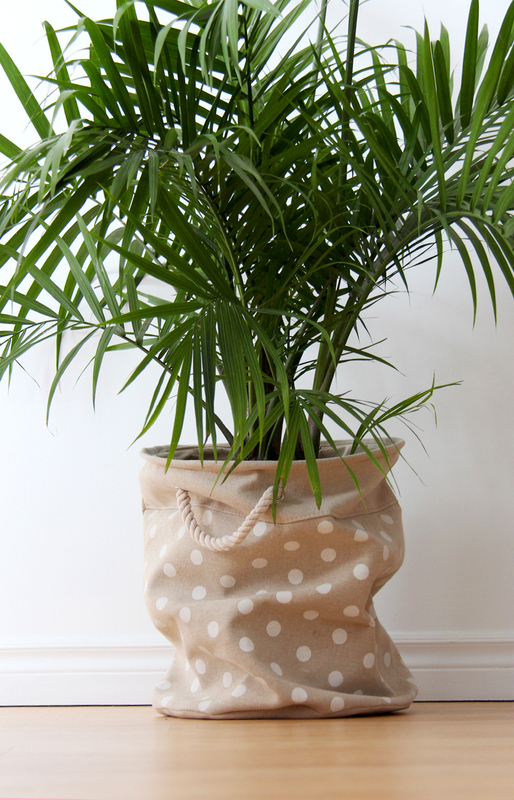 I knew right away I wasn’t going to use it for my laundry, but as a plant pot cover. I’ve been willing to add some green to our appartment lately. I bought some really cute roses but I also wanted something bold and fresh to enliven our space. 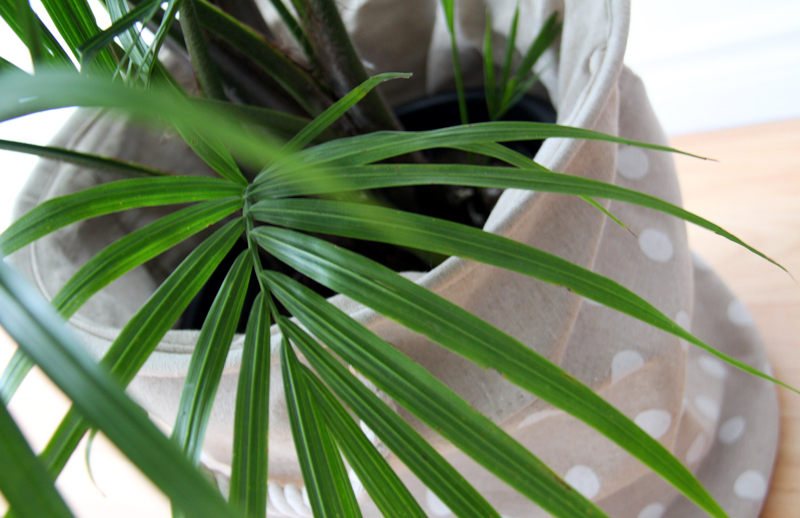 A huge plant needs a great pot cover, and I think this linen basket is just perfect. Oh, and look at those lovely cord handles ! 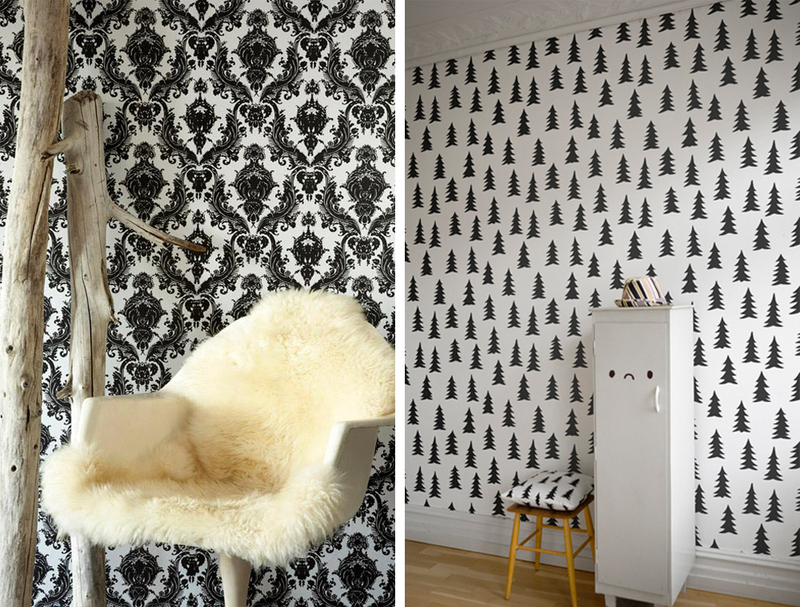 Today, I thought I’d share one of the reason why living in an appartement is hard on my decorating passion; wallpaper, or how we can’t fix any of it on our walls. 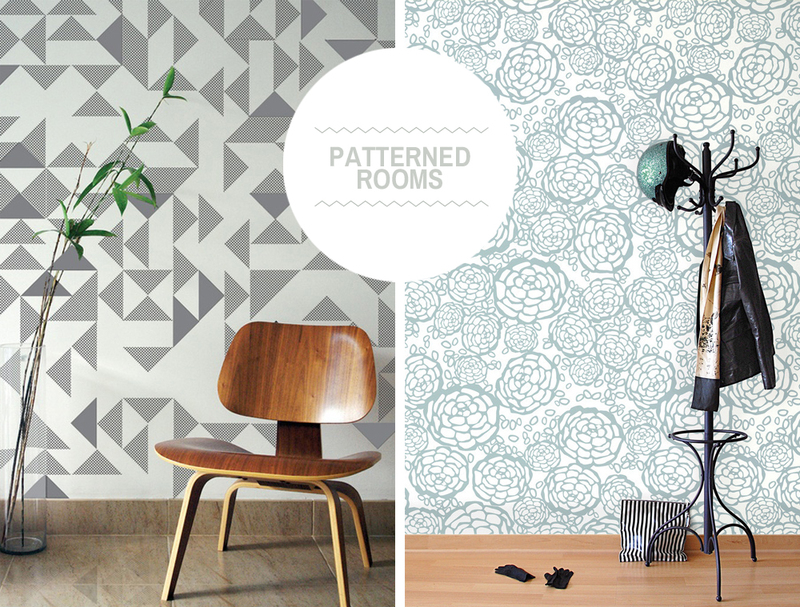 Not that I don’t like my white walls and open space, but a patterned room would feel so warm and cozy. Anyways, this is only gonna wait until I have a place on my own ! Sometimes, you just need a touch of soft pink to help you trough the day. 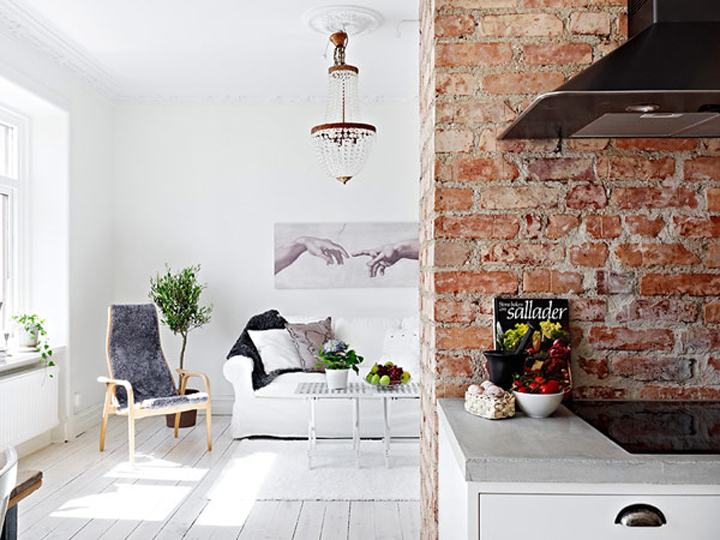 Here is where I found those very inspiring decor to soothe your soul. 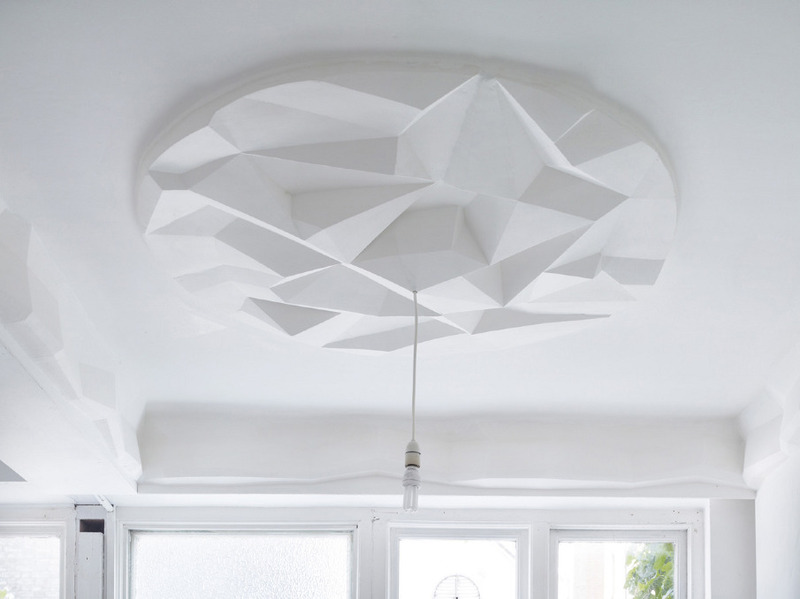 I just found this picture in photographer Nick Rochowski‘s portfolio, and can’t help but fall in love with this white geometric ceiling piece. God, it’s so massive. 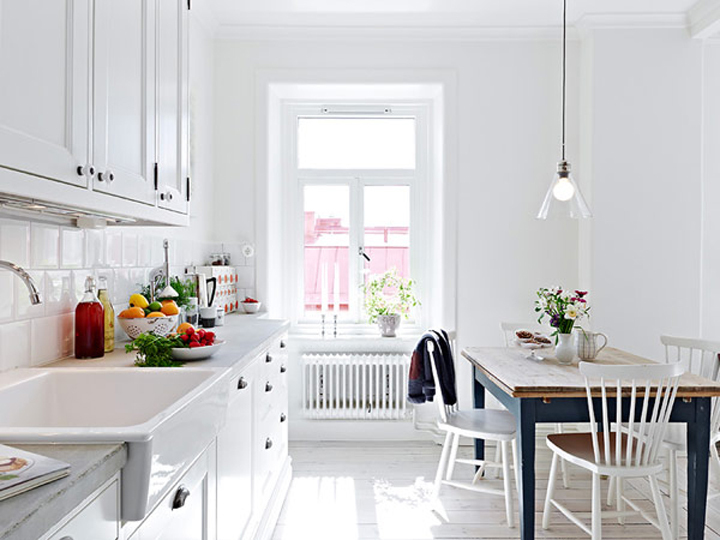 This appartement is like a breath of fresh air! 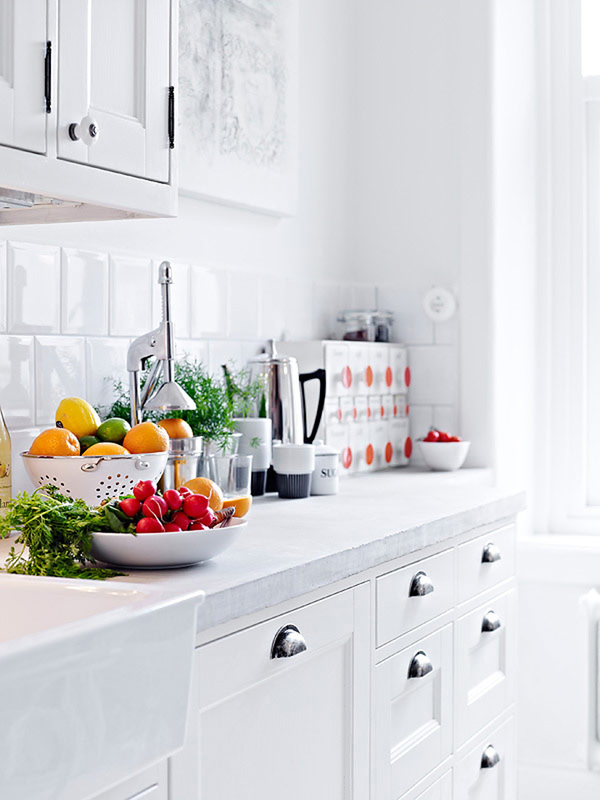 Have you noticed I am a huge fan of white yet? 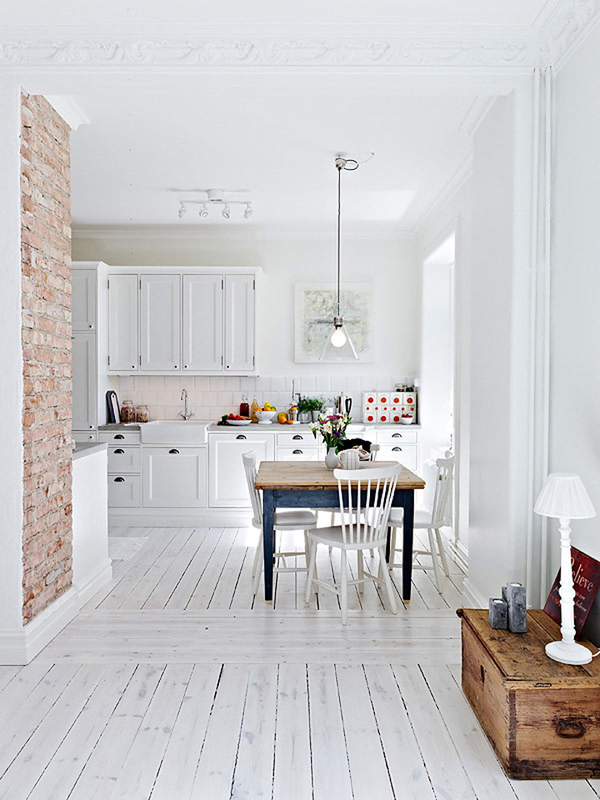 And what about this painted white old wooden floor! It’s killing me. Sooooo sorry guys, I missed out this week! I was so busy celebrating my birthday and my friend Tania’s, and getting all bruised at paintball, I couldn’t find any time to write in here. But I’m back, with a style your spot post about kitcheeeens! Yay! As a computer freak, I don’t use to spend a lot of time in the kitchen, spending most of it in front of my computer! But, don’t get me wrong, it’s one of my favorite space to decorate! 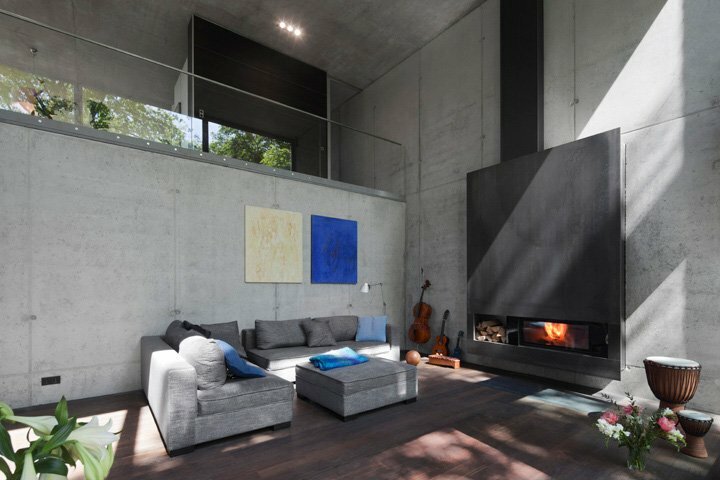 And I love to invite people over in a great looking space. 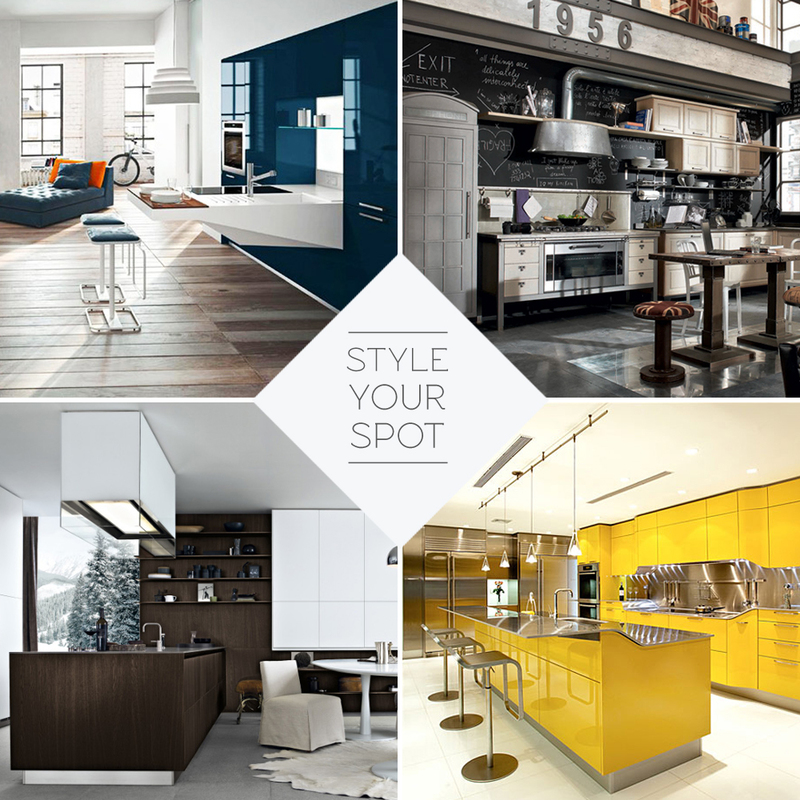 Here are four completely different kitchen looks. Enjoy! 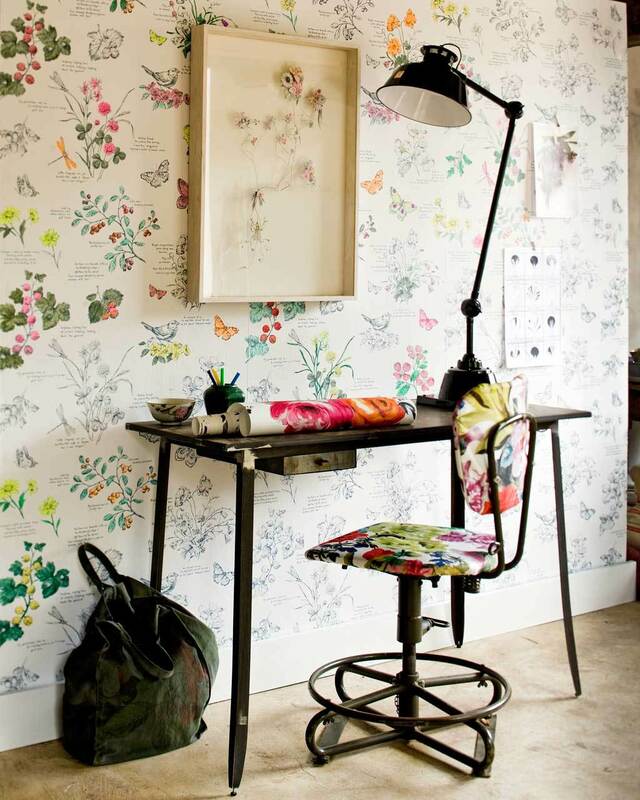 So, I’ve been on a hunt for home decorating ideas ever since I found the apartment I’m moving in this summer. (And god knows how excited I am about it! Mika’s starting to get it too, I guess..!) 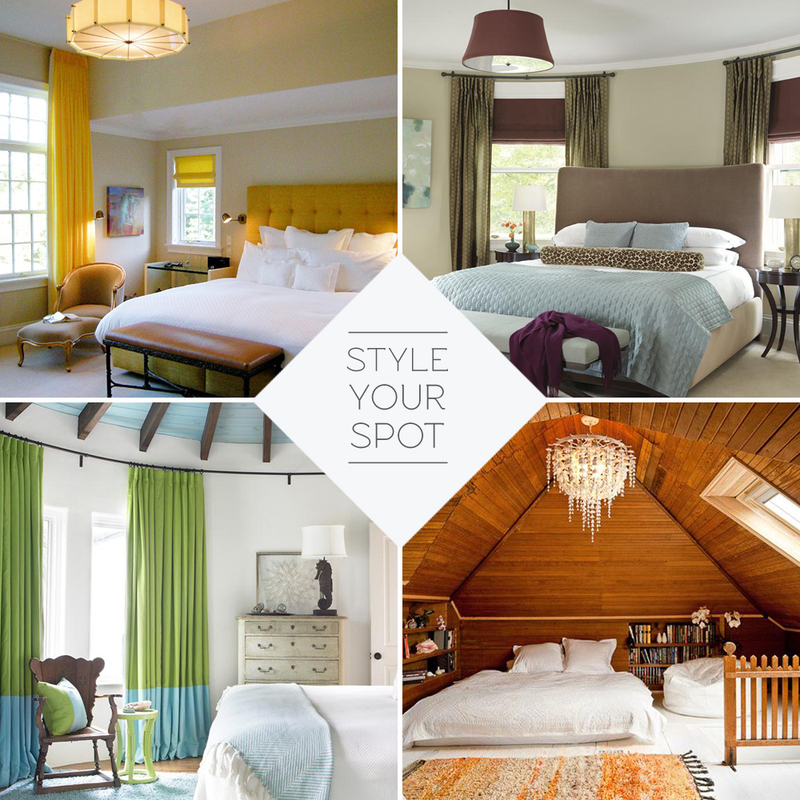 Here are some of the looks I find inspiring for a sweet bedroom space. I guess what comes out the most is space and white. With a hint of color! This yellow one is really killing me. Which one is your favorite?